Two women have been arrested for trying to rob a store which had 15 police officers inside it. 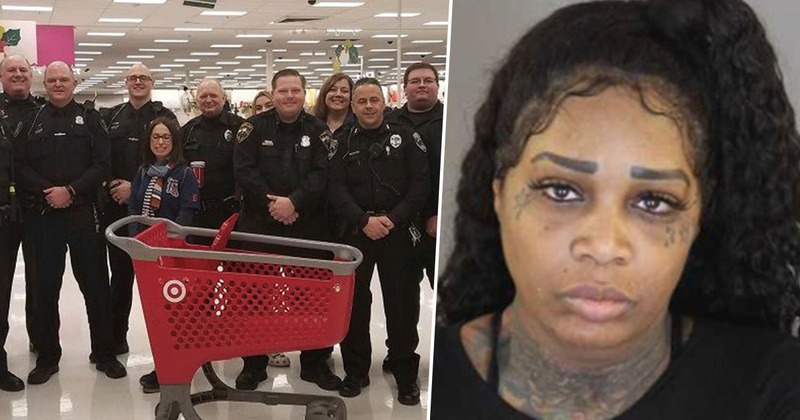 40-year-old Keiana Wilson and 18-year-old Dana Johnson from Detroit, USA, attempted to rob Target on Wednesday (December 19), which just so happened to be the same day the store was holding a ‘Shop with a Cop’ event. Shop with a Cop was a fundraiser in which police from Sylvan Lake, Keego Harbor, Orchard Lake and Bloomfield Township departments were helping 22 disadvantaged children pick out Christmas presents for their families. 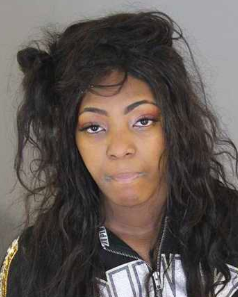 The two Detroit women were caught trying to steal almost $2,000 worth of electrical goods from the store, right under the noses of the 15 officers. I mean, it was destined to fail from the start. If someone was planning a heist that big you’d think they would at least have checked the store’s calendar – or perhaps have just given up and gone home as soon as they realised the store was full of police officers. Wilson and Johnson must have had a lot of faith in their stealthiness to think they could still pull off the robbery even after realising there were police browsing the aisles. The women were seen on a security camera loading their cart with two Apple watches, two iPads and a Nintendo gaming system at around 7.30pm. They made it past the checkout but were caught before they could get much further. The loss prevention [officers] actually apprehended them, then they asked for police assistance. The police officers were only about 20 feet away when they tried to walk out of the store. It wasn’t 10 minutes later that [the same officer] gets called into the loss prevention office. She was trying to distract him. Both women were later arraigned and charged with retail fraud. Johnson was found to have had a criminal history and was given a $250,000 bond, while Wilson’s bond was set at $20,000, Detroit Free Press report. They are set to appear in court on January 3. Following the attempted robbery, The Keego Harbor Police Department shared a photo from Shop with a Cop to thank all those involved – but they couldn’t resist having a dig at the two women’s failed plan. Thanks to Target for their sponsorship contribution. On a side note, there must have been a special episode of “Dumb Criminal Minds” being filmed live as a person tried to shoplift a bunch of electronics right in front of about 10 cops. They didn’t get far. DON’T TAKE WHAT IS NOT YOURS, it’s a simple rule that everyone should abide by and the world would be a better place. Hopefully Johnson and Wilson will have learned their lesson.